Can the bubbly network compete with EE? 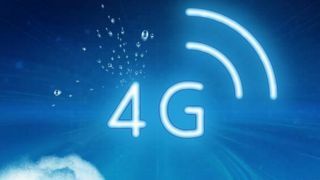 O2 is the third network to speak out on its 4G plans, after EE has, well, been selling the superfast connection for months and Three has pledged to deliver the mega-fast speeds on the cheap. There's not a lot of surprise in the launch from O2, with the prices as high as expected (starting at £26 per month SIM-free, so without a handset, and no word on how much data that will bag you) and the usual bundle of Wi-Fi and free entertainment thrown in to sweeten the pot. But what's going to mark out the effervescent network from the rest when it goes live on 29 August? After all, it's only going to be available in London, Leeds and Bradford – and more worryingly for some Apple fans, you won't be able to use the iPhone 5. The reason the iPhone can't be used is the spectrum O2 will be using – it will deliver 4G over the 800MHz frequency, which Apple hasn't supported in its latest handset. In the spectrum auction earlier in the year, it didn't win any spectrum in the 2600MHz range, which the iPhone5 can connect to. So why go for that connectivity option when the iPhone is one of O2's biggest sellers? "We've been honest with customers from the start; we sold [the iPhone 5] with a phone promise that allowed anyone that bought it to get help to upgrade to a 4G product," said Derek McManus, O2's CTO. "We've always been straight with our customers." "800MHz allows for deep coverage. We had the choice and decided [against bidding] for the 2600MHz spectrum – we've got options to manage that, including using O2 Wi-Fi solution and using our existing assets, the use of our other technologies." While it can get into tedious territory for those that don't give two hoots about how 4G is delivered, O2's decision to eschew 2600MHz is important. The very simple explanation of the two technologies is that 800MHz goes further with a lower capacity, and is great for delivering 4G to the countryside and indoors – but not if you've got loads of people clamouring for it. 2600MHz is the opposite: the reach is lower, but the capacity is much better. If both were a motorway, 800MHz would have fewer lanes but go on for miles, leading to traffic jams in busier periods (or with more subscribers / cars using it). 2600MHz would have loads more lanes, but wouldn't travel as far, meaning more people could drive on it but not really get anywhere easily without having to jump onto another road. This makes 2600MHz great for cities with loads of users, but means many more base stations are needed. O2 believes that it won't have congestion issues in the cities, with McManus stating that a combination of free O2 Wi-Fi being liberally sprinkled throughout the land, as well as using some clever techniques to use its 4G speeds in new ways, will alleviate the problem. He also said O2 didn't see this as a problem in the short or medium term as 4G penetration builds up in the UK, believing that when subscribers reach critical levels the network will have plenty of ways to deal with it. Yeah, but is it really fast? Another criticism of O2, Vodafone and Three is that they won't be able to deliver the speeds that EE is crowing about right now when each launches its 4G service - EE has been telling anyone that will listen that it's doubled its 4G speeds in certain territories.